Super7 is happy to welcome David Foox, creator of the Organ Donorsseries of blind boxed figures! 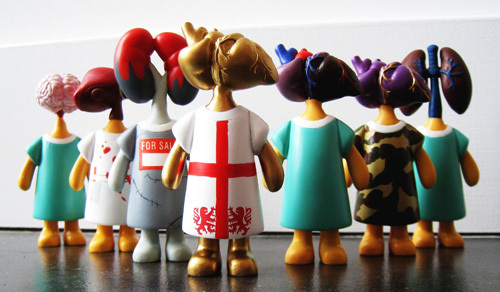 Foox clearly has his insides on thebrain, leading him to develop The Organ Donors series, a set ofarticulated mini-figures with hospital gowns and organs for heads. Eachfigure represents a different organ, presented in several colorways,depicting the organ in various states of health. Join us this Saturday May 30th, 7pm at the Super7 Store for a signing and release party!